All languages have specific sounds that convey meaning when combined. Each sound has a specific place and manner of being produced in our mouths. The Arabic language has 28 specific phonemes, which are the building blocks of any Arabic word. In Arabic, unlike other languages such as English or French, each phoneme matches with a specific letter. 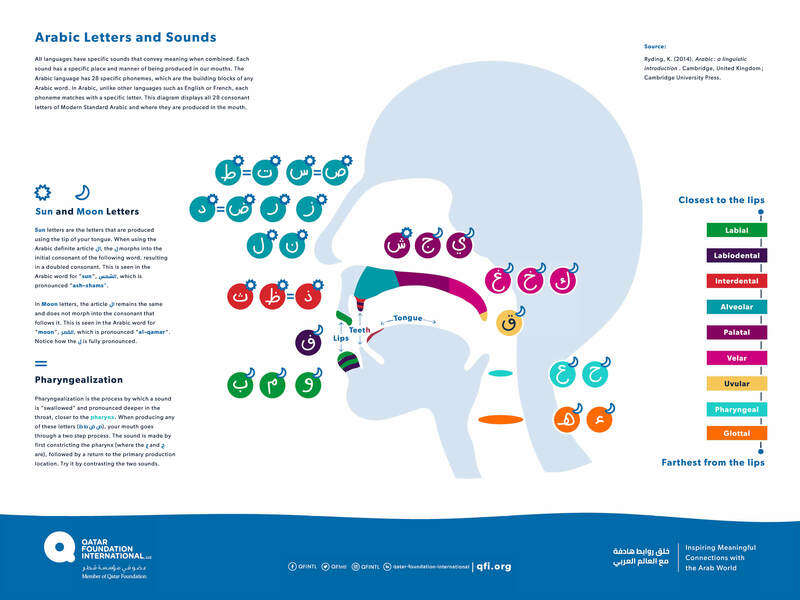 This diagram displays all 28 consonant letters of Modern Standard Arabic and where they are produced in the mouth.